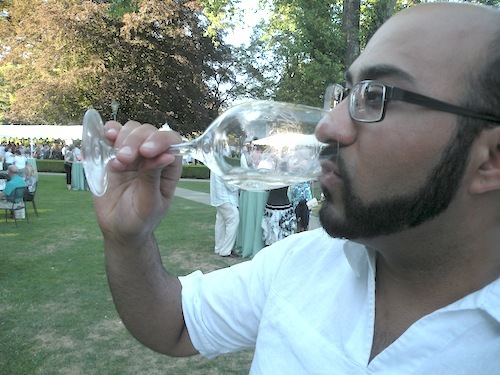 SEATTLE – Yashar Shayan has one mission in life: wine. Since learning the joy and mystery of wine while attending the University of Washington, Shayan has been entranced with all things related to the grape. Shayan is owner of ImpulseWine.com (which we first wrote about last year). This is the culmination of several years working at wineries, restaurants, wine shops, wine tour companies and even the Washington State Wine Commission. All of Shayan’s experience in the wine industry led him to create Impulse Wine, a service in which he tracks down fantastic wines that are undiscovered or difficult to find and offers them to his email list. He offers a different wine each week, and he even provides free delivery within King County. In his first year, Shayan has already built Impulse Wine into a successful venture, with more than 1,000 raving wine fans on his list. And now wineries are approaching him, hoping he will find their wines alluring enough to offer to his customers.